Sleek and elegant, this beautiful pre-owned Rolex oyster perpetual watch will add convenience and iconic style to your look. 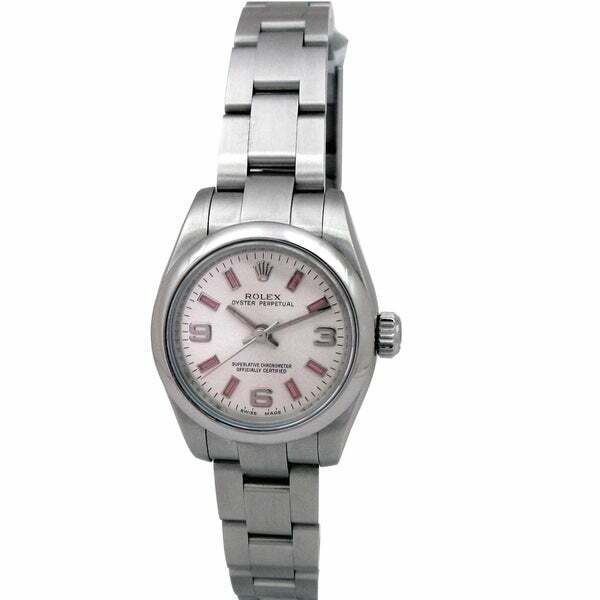 The stainless steel timepiece features a silver dial with pink stick indices and Arabic numerals. The smooth bezel and stainless steel oyster bracelet complete the classically luxurious design. Box: This Rolex timepiece comes with a generic box.